Like attracts like, so here are some psionic-using monsters to set on your psionic characters. 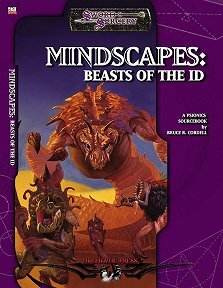 Publisher's blurb: "Discover 18 all-new psionic creatures written by the designer of the Psionics Handbook! From the chameleonlike chalaziom to the dreadful scampering maw, these Beasts of the Id make the perfect addition to your campaign. "The monsters' Challenge Ratings range from 1 to 20, so there's something to throw at every adventuring party. Players can use the beasts of the id as new creatures to summon and control. The book even includes a handful of new powers, templates, and additional guidelines to use with the monsters."